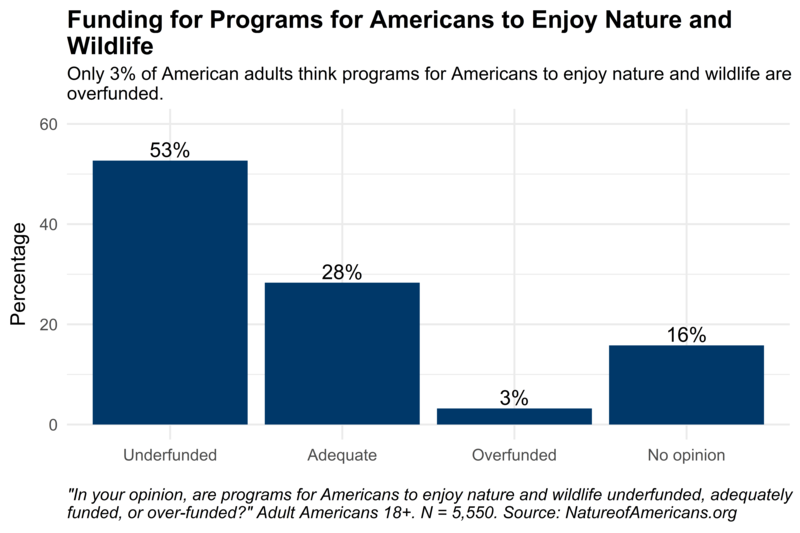 Only three percent of American adults think nature and wildlife programs are overfunded. More than half think they are underfunded. About 16 percent have no opinion, indicating potential to be persuaded toward greater support.